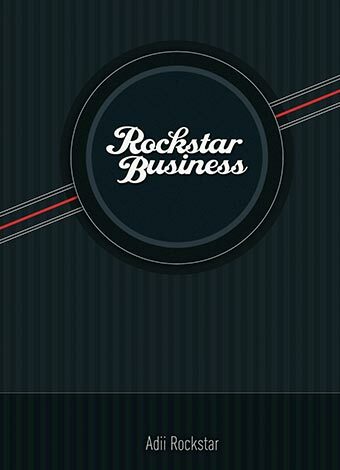 Rockstar Business is a special collection of inspirational stories, thought-provoking reflections, and take-it-from-me advice from author and self-described "rockstar," Adriaan Pienaar. For the first time since launching several popular entrepreneurial ventures based in his home country of South Africa, Adii Rockstar opens up to share his principles for living a happier life and reveals rare business insight with readers – many of whom will certainly be customers of the 25-year-old Pienaar’s popular online design companies, WooThemes and Radiiate. Readers will be thrust into the world of a self-described Rockstar, learning how to embody a similar style of business intuitiveness, trust of the self and of others, and cunning ambition. Adii divulges the latest techniques toward successfully creating a personal brand around one’s name and image while remaining grounded and altruistic in everyday life. Analytical and inspirational, Rockstar Business not only spans many innovative and cutting-edge pieces of insight that modern entrepreneurs and business leaders are harnessing amid the age of the Internet, but further lays out a comprehensive philosophy through which readers will live a more fulfilling and happy life. This is an extremely inspirational book! It gives you an indepth insight into the thinking of one of the most successful young entrepreneurs around today. You discover Adii’s thinking behind running a business, hiring & keeping staff, bootstrapping your start up, making a name for yourself and generally becoming a successful entrepreneur. I’ve got a whole new perspective of ‘competition’ that really opened my eyes. I’m SO glad I saw Adii speak and got this book as a result. I highly recommend reading it if you either run your own business, or want to. At a high level it gives you everything you need to start and run your business successfully.